"We always leave the light on after the sun goes down." A little about ourselves. 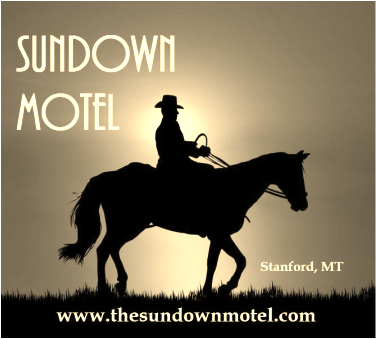 We are a charming one-story motel located in Central Montana and close to the Little Belt Mountains. Clean and cozy rooms to comfort your stay with several restaurants and services available throughout our area! Free complimentary coffee daily. We have refrigerators and microwaves in most rooms, and we are pet friendly with a $5.00 pet fee per night. Hunters will need to have their dogs in kennels. We offer rooms of the following bed amenities: Double, Queen, Queen and Twin, and two Doubles. Family rooms are also available upon request. Please call or text us at 406-350-2799 if you have any questions or to make a reservation. "We always leave a light on after the sun goes down." Pets: We are pet friendly. The pet fee is an additional $5.00 per night. Hunters will need to have their dogs in kennels. When making your reservation, please feel free to contact us by calling or texting us at 406-350-2799. Credit Card information will need to be provided to complete your reservation. Thank you.